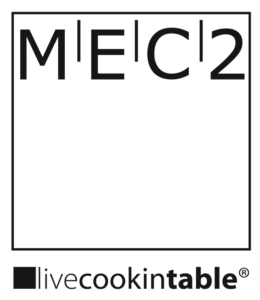 MEC2 – the developer of livecookintable, proves that buffet furniture is far more than just a modular system. So what makes systems like livecookintable the real driving force of progress, diversity and creativity? For MEC2 a “Baukasten” can’t be translated into “modular”, perhaps LEGO is closest to what a Baukasten means. Whether as a Lego, sea container or gastronorm container, standardised elements can always be stacked precisely. Nothing is coincidental with the livecookintable Baukasten,. Everything follows a system. The creative power of a Baukasten is still underestimated. Modular systems like the livecookintable are based on standardised processes and on standards. 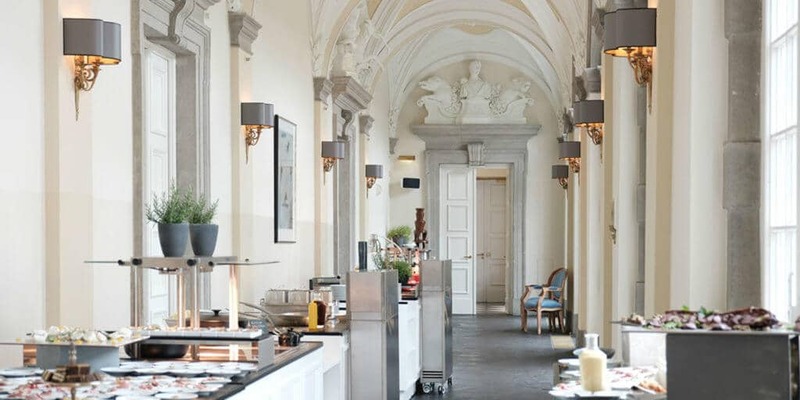 Live cooking on the livecookintable Baukasten – and only the finest ingredients – that’s what makes the Sunday champagne brunch in Schloss Bensberg. 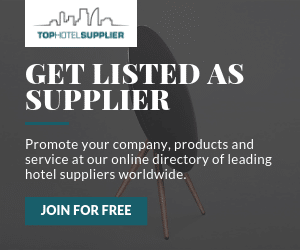 The Leading Hotel of the World – an Althoff Grand Hotel. The demand for modular Baukasten-like pop-up furniture is increasing considerably today. It is important to constantly align with the needs of the guest and also of the most flexible infrastructure – a simple drop-in concept with plug & play functionality. That makes a Baukasten more than being simply modular. Another strength of livecookintable is the freedom of design for all interior designers, kitchen consultants and architects. The unlimited possibilities in color selection, materials and decors ensure the sustainability of the product with the ability to change over time with extremely low cost. Freedom of Design for all Interior Designers, kitchen consultants and architects with livecookintable. The front design of the buffet line should follow the historic design of the doors.